This group exists to help Church Media staff and volunteers connect to learn from each other how to create experiences where people meet Jesus and grow in their relationship with Him. A Facebook Group for buying, selling or trading production gear. Connect with other media professionals to exchange gear for your church. This group is for support and discussion for those who run church pages (any form of social media platform). Learn and connect with our church communicators. A community for church communicators administrated by our friends Darrel Girardier and Katie Allred of Brentwood Baptist Church. They encourage and equip others by sharing expertise, asking questions, and offering ideas about branding, graphic design, the web, social media, print design, and other related topics. This group is for Church Tech’s to pass on knowledge that you may have to others that might need it. Topics cover Equipment, Mixing and Recording Techniques, Presentation software, Lighting, Projection and more. 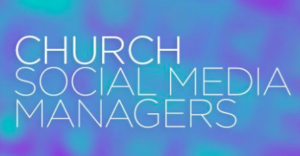 The Visual Church Media Facebook Group or CMG VIP Insiders Group is a community for church media creatives from our friends at Church Motion Graphics. This group covers topics in the areas of visual media, motion backgrounds, fonts, video, and more. SALT is a community where you can be connected, be equipped and be inspired in your creative calling. They don’t see creativity being used as a marketing tool to attract people to a building or a service, but instead as a vehicle for God to communicate powerfully and intimately to His people.